SXSW Diary: Day 3 | Katarina G.
I was already starting to feel the toll of the midnight lifestyle by Sunday, so I decided to do something radical. Radical for “festival travel” and “business travel” and even “vacation travel”, for me, anyway. I decided not to set an alarm for Sunday morning. I ended up waking up relatively early anyway (9ish?) but the lack of pressure really helped me feel less like a person who is swimming with lead weights on. Sign #56845697 that I’m getting old: an inability to stay up until 2am for more than two nights in a row without wrecking my productivity the following day. Oh well, it’s festival life, who’s complaining? Colin and I had a leisurely breakfast and caught up on a few emails before heading to the nearby B-Cycle station to zip down to the convention centre for our first panel, “So You Want to Make a Midnight Movie?” which included lots of useful info and a great pitch from an audience member for a slow-burn horror film called The Venison Eater. He had me at … well, The Venison Eater. “Catching up on emails” is one of those tasks that back home, when I’m on a regular schedule and mostly on top of my work, is no big deal. While I’m away, on the other hand, it feels like a crushing avalanche of busywork that I will never be able to dig myself out from under. I have so much Birdland stuff to do, it’s unreal. Being mostly offline (except in the early mornings and late nights) doesn’t help. It means that if I respond to something at 9am and then leave the house (and its precious wifi zone) until late in the evening, any followup that might have been required at, say, 10am has to wait until the following morning. Losing entire workdays like that is very painful. When I get back, I’ll have to stuff five workdays into two. But for now, I’m in Austin, where the streets are paved with brisket, the rivers flow with beer, and it’s always summertime. Not complaining. Checking my jet-setter privilege, etc. 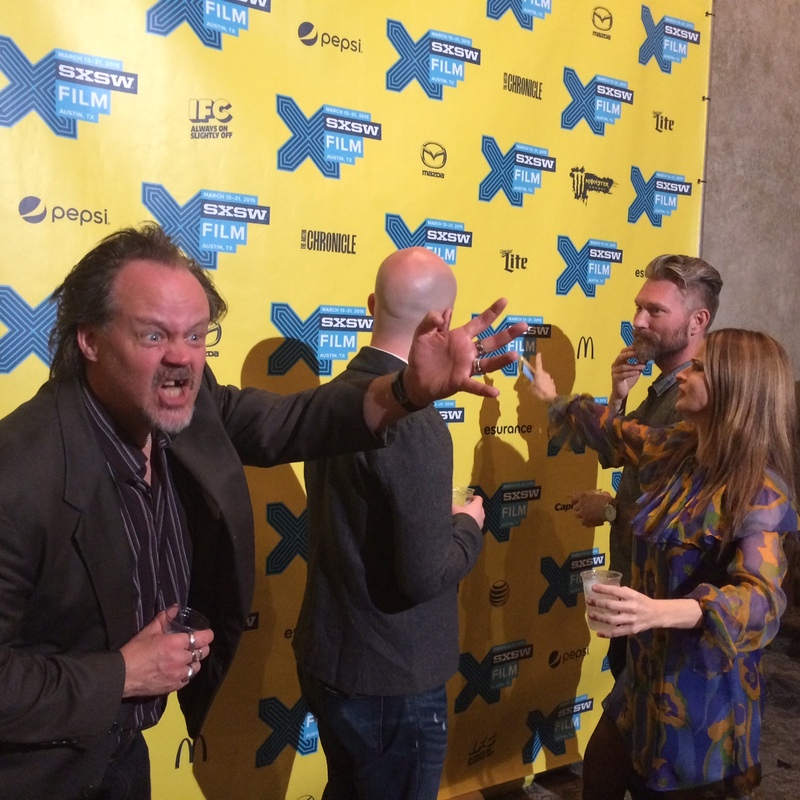 After the midnight movie panel, we met with Jeff Wright (here scouting for CMW‘s film programming, among other things) and scoped out the technology side of what’s currently going on at SXSW. I don’t understand the Interactive festival at all, but I know that I’m just an old grandma shaking her fist at the sky and grumbling that she doesn’t “get the twitters”. 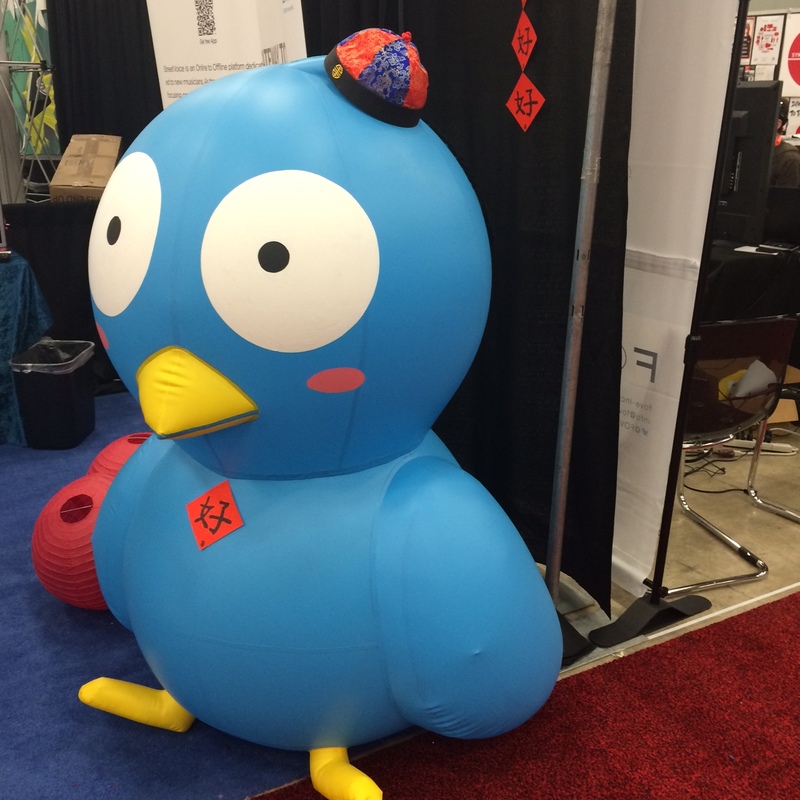 Clearly, some of the stuff being showcased in the huge interactive arena of the Austin Convention centre is a bit nutty, but much of it will just as clearly change all our lives sometime soon. I shook hands with an amputee who was using a fully-functional 3-D printed arm (each finger could bend and move at each joint, just like a real hand) and met a pair of Swedish composers who create “audio identities” for companies and products (you know how you have a logo and letterhead … well, like that, but sounds). After checking out the very tip of the interactive iceberg, we went to a beer tent that seemed to me like a very SXSW-ish thing, even though I’ve only been here for a few days and may not have a complete sense of this festival’s identity. The outdoor lounge was sponsored by mophie, a company that makes portable battery packs for iPhones (I use one, it’s great) and they had not only free beer, but a Saint Bernard petting zoo. Yep. 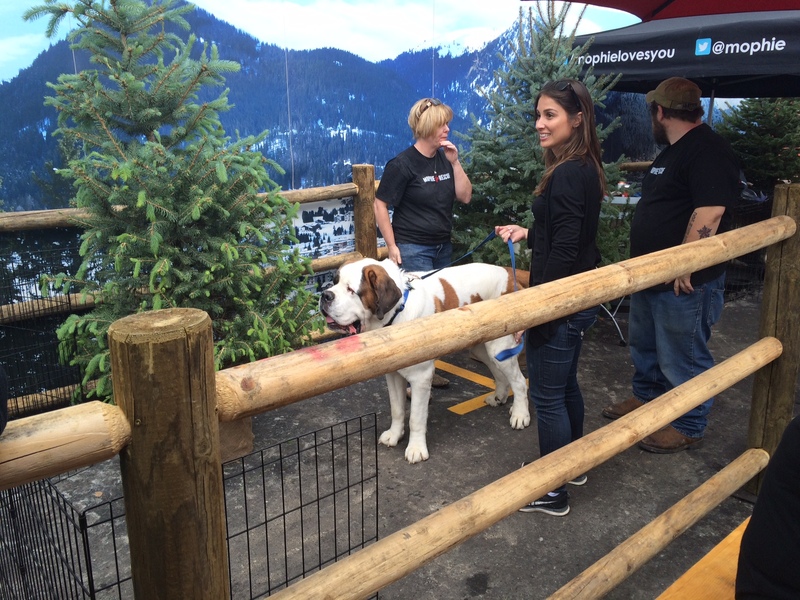 A tech company sponsored a patio on which you could drink for free and play with big dogs. 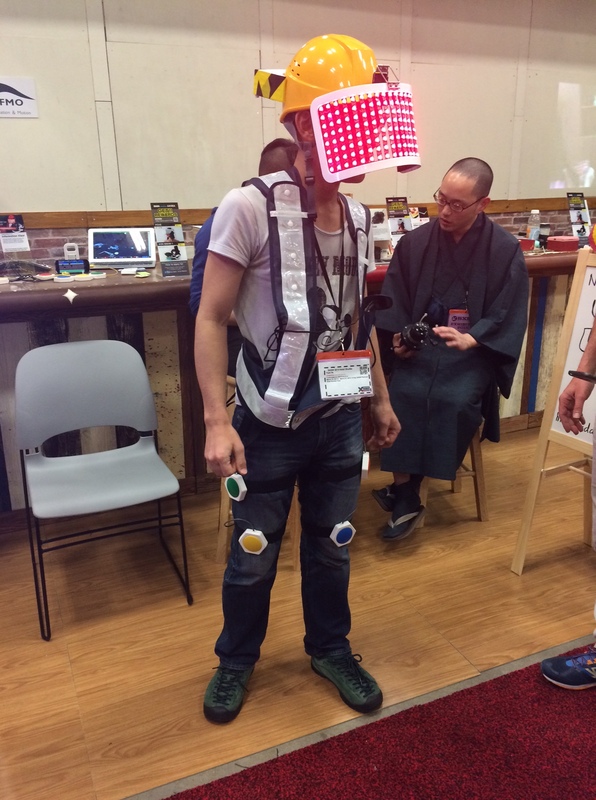 A+, SXSW. 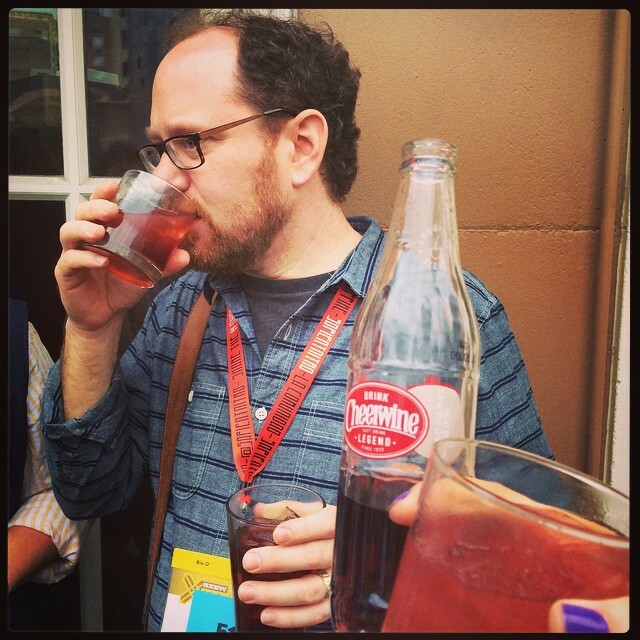 From the Saint Bernards we went to a happy hour hosted by VHX, then to another happy hour hosted by the North Carolina film commission, where we drank our fill of Cheerwine and met a guy who was working on a “stripper horror” film called Peelers. Good times! Dinner was one of those fun, impromptu events that brings together a bunch of cool people – Jeff, Zach Hagen (the producer of He Never Died, which is premiering at SXSW) and our friend Diana, who has a super cool job with a company that holds the rights to a story that takes place in a galaxy far, far away. 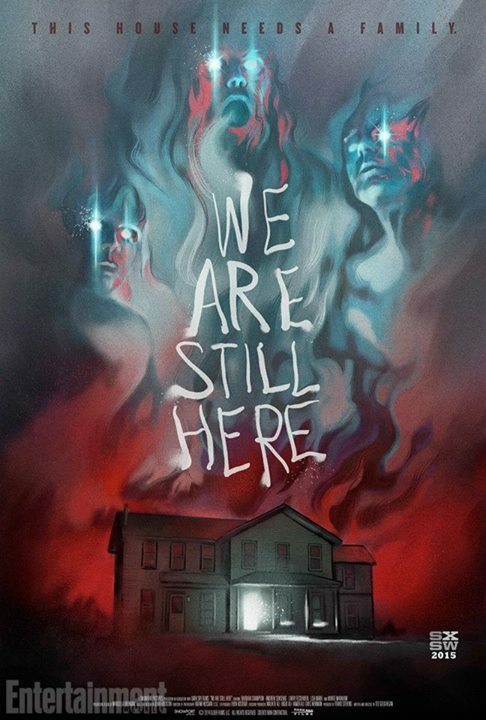 We had steaks, we had fun, and then we had to keep ourselves peppy and awake for three hours before the midnight screening of We Are Still Here. Luckily, we had the fabulous Nick Robinson to help us with that endeavour. I was very glad to have stayed up for the film, because the finished product was tense, had great atmosphere, a fantastic look, creepy sound design and was a really fun watch. It’s such a pleasure seeing friends get to make their dreams come true, and watching Ted get up on stage to introduce the world premiere of his film was really touching and awesome! Some things are worth staying up late for.